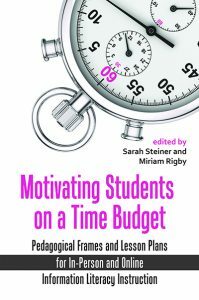 ACRL announces the publication of Motivating Students on a Time Budget: Pedagogical Frames and Lesson Plans for In-Person and Online Information Literacy Instruction, edited by Sarah Steiner and Miriam Rigby, a collection of lesson plans, activities, and techniques that utilize motivational strategies and pedagogies to help keep students engaged. 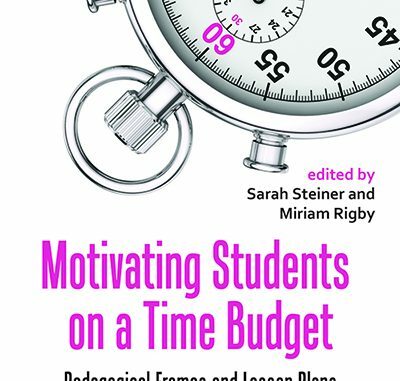 Motivating Students on a Time Budget begins with a section of research-based, broad-level considerations of student motivation as it relates to short-term information literacy instruction, both in person and online. It then moves into activities and lesson plans that highlight specific motivational strategies and pedagogies: Each encourages the spirit of play, autonomy, and active learning in a grade-free environment. Activities and plans cover everything from game-based learning to escape rooms to role playing to poetry, and are thoroughly explained to be easily incorporated at your campus. Motivating Students on a Time Budget: Pedagogical Frames and Lesson Plans for In-Person and Online Information Literacy Instruction is available for purchase in print and as an ebook through the ALA Online Store; in print through Amazon.com; and by telephone order at (866) 746-7252 in the U.S. or (770) 442-8633 for international customers.